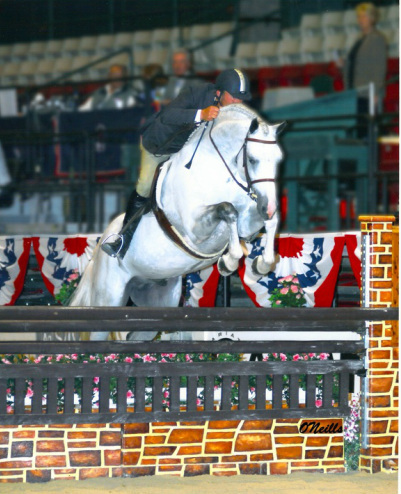 At the end of 2010, I retired Cunningham from the 4' Rated Hunter Divisions. I felt he had proved himself and had earned a lighter work load. Cunningham was backed by myself at 3 years old. 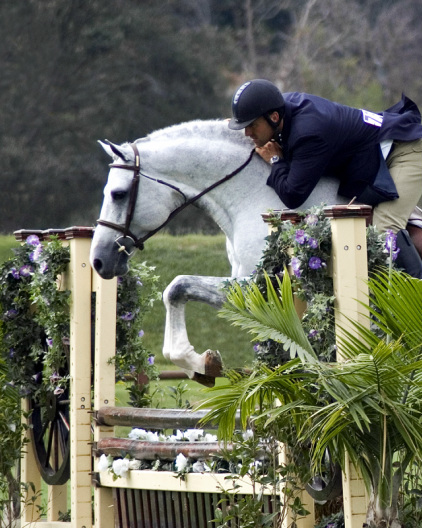 I did all of his jumping work at home and competed him at horse shows. 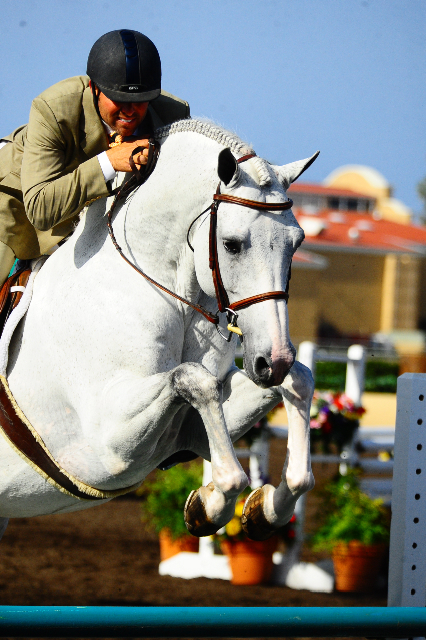 He continued to live, be schooled and jumped by myself at my barn, through out his career. 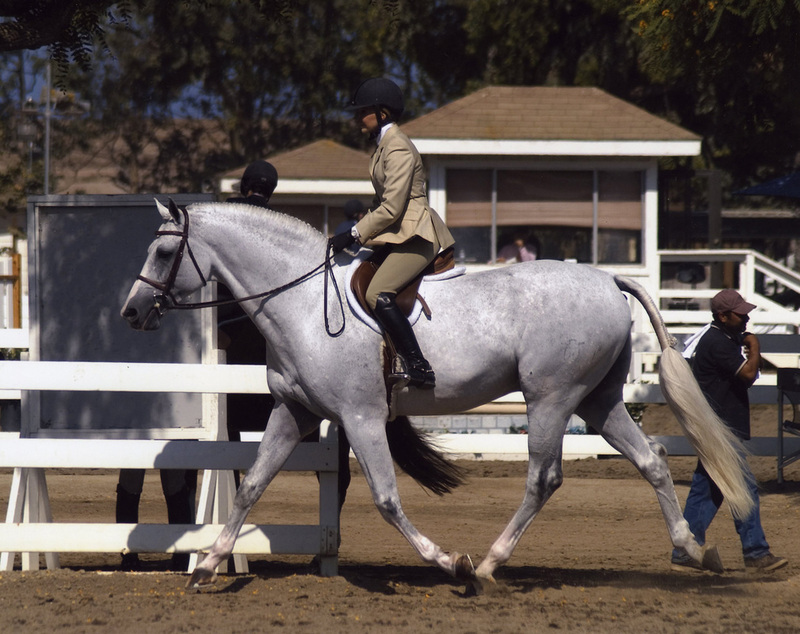 We would meet the show barn at horse shows, where I continued to do all of his prep work. 2011 was to be the year I would again have him all to myself to show. In February, my husband's cancer from 3 years ago returned. Because I am Cunningham's sole schooling rider, and Carl's sole caretaker, Cunningham was only able to fulfill his contracts to the mares to whom he was booked in 2011. It was a long year, with numerous cancer treatments and 4 surgeries. Carl is currently in remission and his surgery for February was canceled. Cunningham is back to being ridden and jumped. Look for us to be back in the show ring later this year!